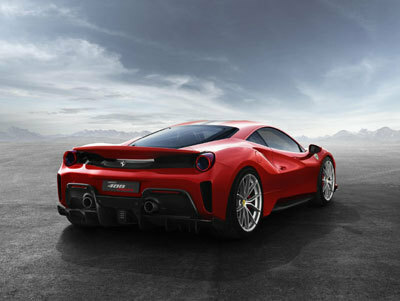 Previously awarded the prestigious title of Ferrari Global Dealer of the Year, H.R. Owen’s revered dealership is the perfect location to launch one of the most eagerly anticipated Ferraris of the 21st Century, with its squared-off angles and subtly aggressive lines hinting at the performance within. The 488 Pista launch was unusual in that it was shown via a live stream from Ferrari Headquarters. To ensure the showroom had the right ambience for the grand unveil the large presentation screen was surrounded by other Ferrari models, including a 488 Challenge car. The UK’s leading luxury dealer group invited 50 VIPs and their guests to the showroom on launch night to sample the 488 Pista for the first time, with champagne and canapes served throughout the evening. H.R. Owen Ferrari Brand Director James Champion opened proceedings with an introductory speech on the new model, talking visitors through the exciting step forward by Ferrari in terms of motorsport-derived technology and overall driving ability. The Pista uses the current 488’s 3.9-litre twin-turbo V8, yet with a significant weight saving and a power increase from 661bhp to 711bhp. All this contributes to a 0-62mph time of 2.85 seconds and a top speed of more than 211mph. 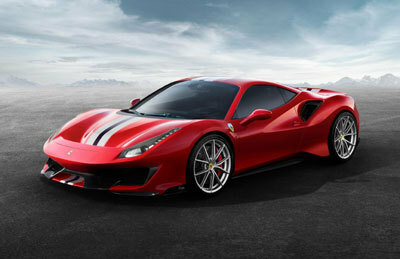 The Ferrari 488 Pista will be on display at the upcoming Geneva Motor Show.